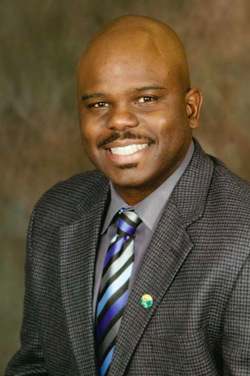 Cassius Cash was selected as the new superintendent of Boston National Historical Park and Boston African American National Historic Site in 2010 (NPS). Prior to his move to Boston Cash served as the deputy forest supervisor on the Rogue River-Siskiyou National Forest in Medford, Oregon. He succeeds former superintendent Terry Savage, who retired. He became the FIRST African American to serve as Superintendent of both NPS sites. Cash has been one of the principal leaders to align both the Freedom Trail and the Black Heritage Trail as one marketing brand at Faneuil Hall in Boston. Cash also was largely responsible for securing the final federal government funding to completely restore the historic African Meeting House in Boston. Cash has worked for the US Forest Service since 1991 in various positions, including services staff officer, acting natural resources staff officer, district ranger, civil rights officer, and assistant forest wildlife biologist. In 2004, he became the service staff officer on the Nebraska National Forest, located in portions of Nebraska and South Dakota. There he oversaw the entire business operation as well as the geographic information system, engineering and public affairs functions. "Beginning Memorial Day, when the city’s new $7 million visitors’ center opens at Faneuil Hall, the trails will be jointly known as Boston’s Trails to Freedom. The idea came from Cassius Cash, who moved to Boston two years ago to become superintendent of two of Boston’s national parks - the Boston National Historical Park, which includes some of the sites on the Freedom Trail, and the Boston African American National Historic Site, which includes the Black Heritage Trail. The 1.6-mile walking tour illuminates Boston’s significant connections to the abolitionist movement and the Underground Railroad"
Cash holds a bachelor of science degree in biology from the University of Arkansas at Pine Bluff and later attended Oregon State University to study wildlife management. He also serves as a board member for the Greater Boston Convention and Visitors Bureau. Cash and his wife, Vonda, have two daughters and live outside Boston.